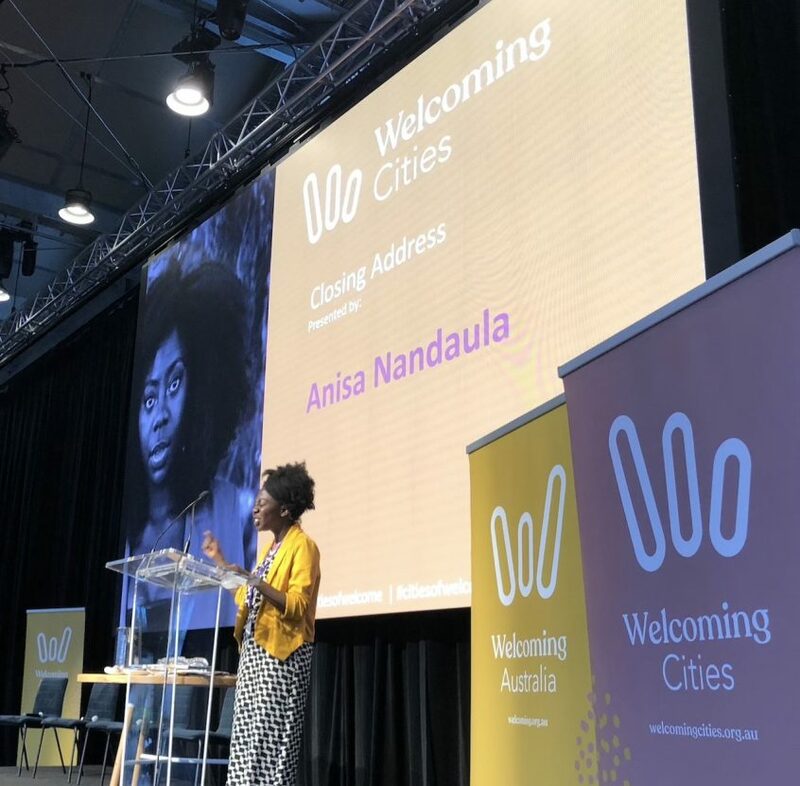 By all accounts, the 2019 Welcoming Cities Symposium was our most successful yet. A packed program featured Professor Anita Heiss delivering the inaugural First Nations keynote, Kenan Malik (International keynote), Abul Rizvi (National keynote) and an exceptional line-up of community practitioners, Local Government representatives, researchers, and community leaders. Hope and change were also evident. The Brisbane Lord Mayor announced Brisbane City Council as the 33rd member of the Welcoming Cities network. A network which is now representative of close to 20% of the population. To everyone who was involved – thank you. Thank you for being part of that hope and change. Thank you to every single person who shared the stage and offered their ideas, experiences and vulnerability. Thank you to each and every delegate – for your generosity of conversation, engagement, questions and comments. Thank you to our funders, supporters and our members – we began as a very ambitious (and possibly a somewhat vague) idea 3 years ago, and they are to be applauded for their courage and willingness to trust us. We would greatly value your feedback on the event, and we’re pleased to be able to make the majority of the presentations available. We look forward to continuing the journey with you. Presentations are made available under a Creative Commons Attribution-NonCommercial-NoDerivs 3.0 Australia License.